Budapest, XIII., Váci út 81-83. 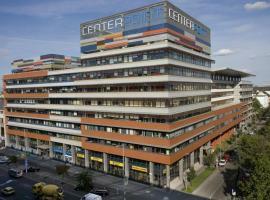 Center Point offers an excellent and unique architectural design offering large flexible spaces to fully meet tenant requirements. 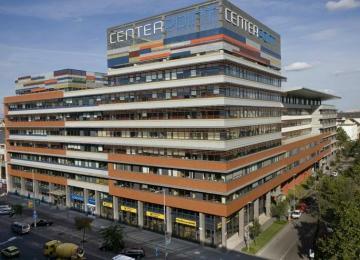 The modern building is fully equipped with all the expected high-tech facilities. Further special features include elegant double height entrance halls overlooking a landscaped courtyard and water feature, restaurant and café terrace. The entrance area and reception features one of Budapest’s most unique „entrance” environments – a pallette of sophisticated materials featured in a large, open area. The building has been designed to cater to a variety of tenant office needs – ranging from elegant, panorama view manager suites to a large open area configuration option. 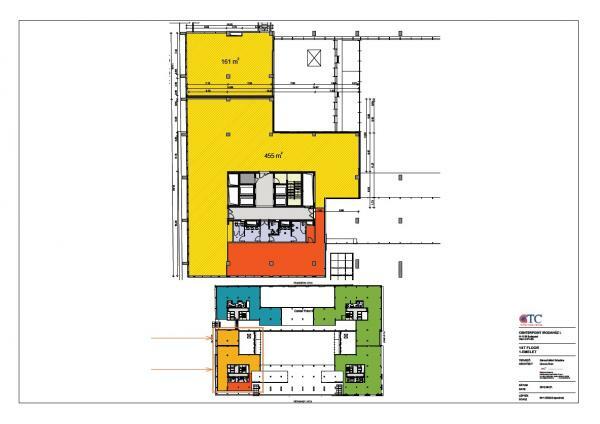 The extensive floor plates allow for maximum tenant fit-out opportunities.